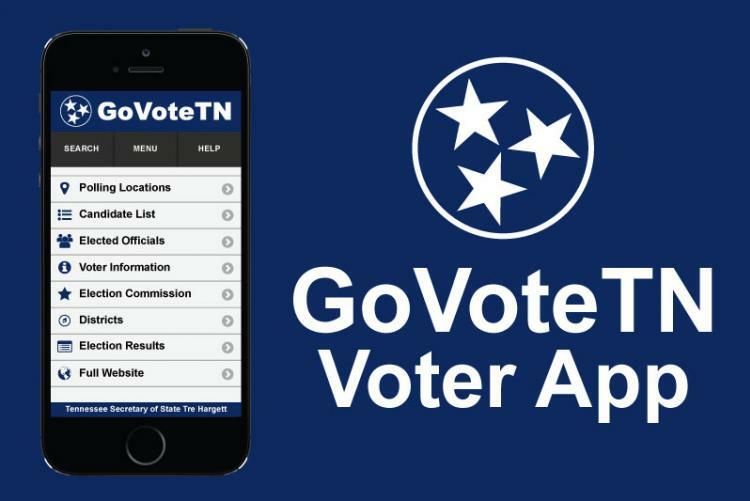 Download the app, or go to http://election.rutherfordcountytn.gov/map_commission.htm to determine where you can vote on Tuesday. Rutherford has open voting at any polling location now, so find the one most convenient for you on Tuesday and cast your vote! Earlier this year, Tennessee was ranked 49th in the nation for voter turnout. Since 2016, more people have been getting involved in the political process by registering people to vote, working on campaigns, and many other things. “For students that are 18, we run a day each semester where they actually do register to vote online at tn.gov, and students that are under 18 fill out a voter registration form on paper to remind themselves to register to vote,” said Michele Giacobbi, U.S. government teacher..
Because of the impact of growing awareness in the communities in Tennessee, in October, The Tennessean revealed that the number of early votes in this year’s election (1,062,596) has nearly tripled from the early votes of 2014 (392,710). As of November 1st, the early votes in Rutherford County totaled around 66,000, which is 236% of the early votes in 2014. “The people that vote most are 55 and over. The one’s who aren’t going to be around as long are the ones who are determining policy in this country, and they’re going to determine a policy that benefits them, not the young people,” said Giacobbi. Ages 45-65 represent 43% of the votes, while ages 18-29 only represent 10% of the votes. According to Giaccobi, “18 to 21-year-olds are the smallest percentage of voters in this nation. The policies that are going to affect them the longest, they’re not voting on. I tell my students that if they want the world to change for the better for themselves, they need to defend themselves in the voting booth and vote. We now live in a world where so much is based on politics. Many people are trying to get new voters excited to share their voice, to have themselves heard. “Everything around us has been affected by a politician. It is so important for young people to learn the issues and find the candidates that are going to fight for the things they care about most,” said Mariah Phillips, high school government teacher and candidate for U.S. Congress. The 2016 election has created a wider divide between students, friends, and even family members. “Teaching high school during the 2016 election was difficult. The divisiveness of politics was coming into my classroom, and instead of talking about ideas and solutions, we were talking about people and groups. I saw how it impacted our greater community, and I wanted to do something about it,” said Phillips. Phillips is passionate about having normal people be in office to represent the people of Tennessee. “The House of Representatives is called the ‘People’s House’, so I think we need to have real people, that understand the real issues that regular people face, making the decisions in Washington,” said Phillips. If you don’t know who to vote for, go to isidewith.com or skimm.com to pick issues that you care about and you’ll be matched with a candidate. “I want my students to know the power of their voice,” said Phillips. NOTE from The Blackman Voice: We do not advocate any party or individual candidate. We DO advocate voting! If you are not eighteen yet, now is the time to start learning about our government and the importance of voting.